Swiftkey, a 3rd party keyboard that remains one of the favorites around this site, received a beta update to version 4.5 this morning that finally introduces emoji and an optional number row. Seems silly, right? 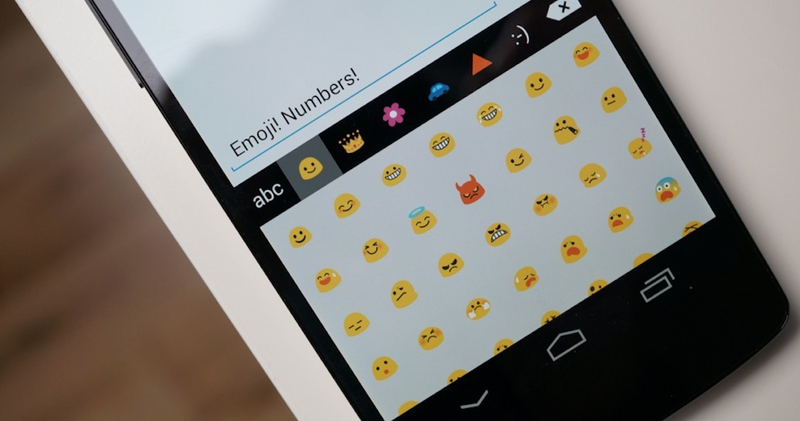 That we’re talking about an update that introduces 500+ emoji. Oh, how the times have changed in this funny tech world. But hey, emoji. So Swiftkey is giving you 500+ emoji that are categorized (people, objects, nature, places and symbols), but more importantly, can be available as word matches should you decide that you need them on-demand. For example, if you type “Santa” you would then be giving a choice of a Santa emoji along with words. Swiftkey also suggests using words like “pizza,” “broken,” “cheers,” or “kiss” to get the full effect. And as always with Swiftkey, you’ll get contextual predictions of emoji as the keyboard learns from you. To the non-emoji crowd (and those with massive phones), the other piece to this update is probably more important – an optional number row. In settings of Swiftkey, you’ll now have the option to choose to have a dedicated number row at all times. Note, One Max, and (random) Z Ultra owners, throw yourselves a party. The beta is free for all to download – link found below.